The Detroit Tigers completed a blockbuster trade with the Texas Rangers Wednesday night that sent Prince Fielder to the Rangers for Ian Kinsler. The trade was a rare swap of one for one for current stars in the game. The bigger of the two stars is Fielder, in both stats and stature, but finances took part in the trade that made it easier to complete the trade. Texas gets $30 million in the trade and Fielder is just the second player ever to be traded after having signed a contract for more than $200 million. The first was Alex Rodriguez who was traded by Texas nine seasons ago to New York after signing a contract in excess of $200 million. Detroit agreed to send the $30 million to help cover a part of the differences in the two players’ salaries. 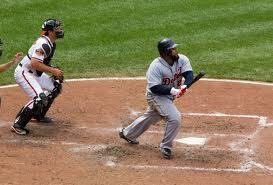 Fielder still has 7 years left on his nine-year $214 million contract. Kinsler on the other hand has four years of a five-year deal worth $75 million still reaming. For the trade to work, Fielder waived his no-trade clause. He had a limited no trade clause in his contract that included Texas, but agreed to the trade provided that the limited protection is kept going forward. Bud Selig, the MLB Commissioner needed to approve the trade. His approval must be given for all trades where over $1 million is exchanged. The trade only started to be discussed on Tuesday, as Dave Dombrowski the general manager for Detroit phoned Jon Daniels his counterpart in Texas. By trading Kinsler, Texas opens second base for Jurickson Profar their top prospect. That means Profar and Elvis Andurs, the shortstop for Texas will both remain to form the new double play combination. Texas has wanted more punch in its lineup to join Nelson Cruz who is a free agent and could sign elsewhere. Texas has also been negotiating a possible deal to sign Brian McCann the free agent catcher for the Atlanta Braves. The Tigers with the trade free up cash and now Miguel Cabrera the team’s two-time defending MVP of the American League can move back to first base after moving to third when Fielder was signed two seasons ago.